At some point in the last week I decided I could no longer handle not making jewelry. Over the years I’ve changed my focus from specifically beaded work to some beaded work and metal. I specialize in filigree, which when I started working in the discipline was a bit of a dying art in the United States. I will also be using my Etsy shop to offer sculpture and 2D art, and I have a plan to offer printed goods through a Society6 store… But one step at a time. Plan on seeing prayer beads with hand-fabricated metal components, amulets, talismans, and a world of other pieces from me on Thursdays, highlighting what I’ve put up for the week for sale. I’m currently listing older stock, and I’m also not currently taking custom work offers… That will most likely change in the form of dedicated listings for specific objects. Since I specialize in short-run and one-of-a-kind work, I’m not known to enjoy making the same ring over and over and over again. I’m very, very excited about this! I’m looking forward to getting back to my torch and pliers along with hopes to buy a kiln in the next 12 months to start enamel, precious metal clay, and glass work. 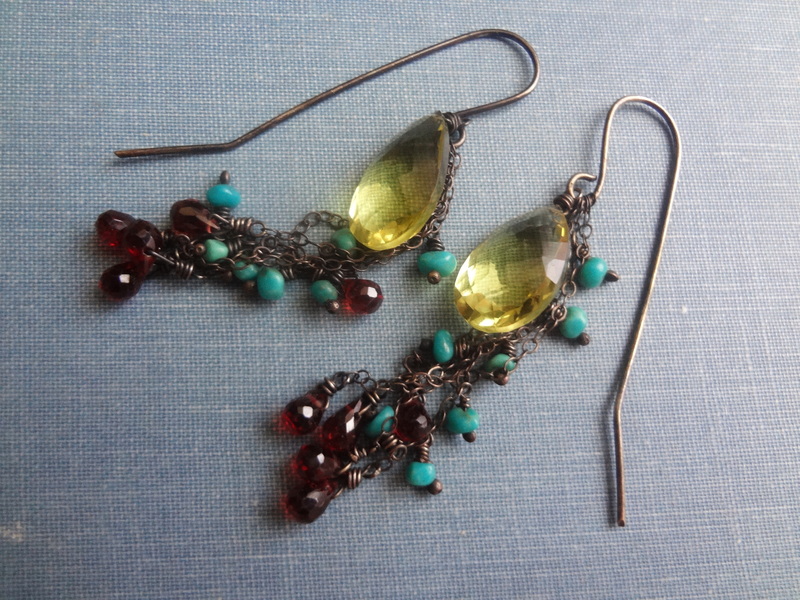 The Fringe Earrings – Lemon Quartz, Stabilized Turquoise, and Garnet on oxidized sterling silver. One of the things about my work that I’m proud of is that I’ve been able to source quality stones. When I use turquoise, for instance, it’s not chalk turquoise that has been dyed, but it instead stabilized turquoise that has been otherwise untreated. I try to find the very best faceting on stones as well, so in the earrings above they are gem-grade lemon quartz. The faceting is flawless. These earrings are available here. 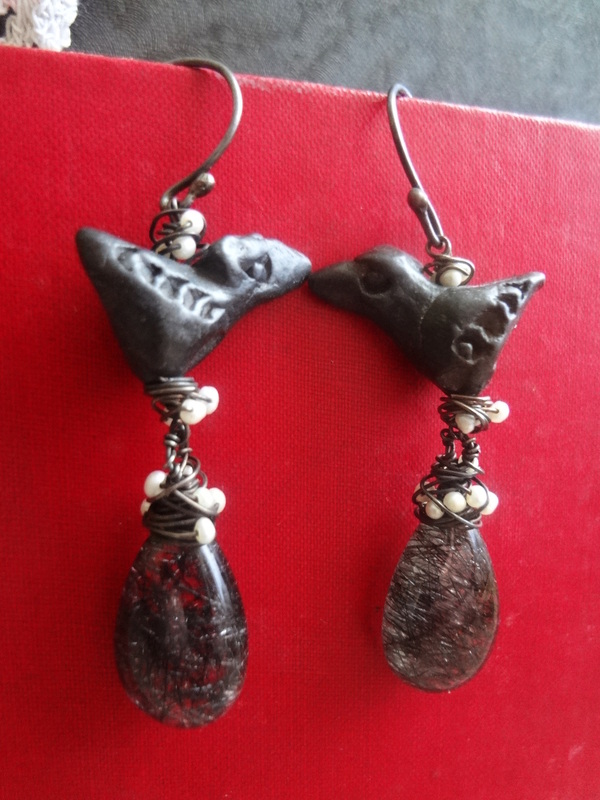 So… I’m a little bit obsessed with Oaxacan black clay beads. They’re handmade by artisans in Mexico, and sooner than later I’m hoping to buy directly from those making these amazing beads the next time I buy a batch of them. The beads I’m working with currently were bought by a friend who was traveling in Oaxaca a few years ago, and I’m going to be sad when they run out. You’ll likely see these showing up in my prayer necklaces, because there’s a certain tactile quality that I can’t put into words that is simply magical. And I really love using them in designs where I can highlight their details while balancing them against beautiful stones and pearls. You can find these here. My goal for upcoming jewelry is to move away from pre-bought components other than chain when working in silver. I’m still trying to figure out the best way to do the same with gold-fill, but in the future I’m also planning on working in 14k gold in customs. This is not to disparage those working with mass-produced findings, obviously; not everyone has the skill set that I do nor the time, ability, or interest. But one of the largest influences in jewelry for me is looking at Art Nouveau and older pieces, really taking in the complete nature of design. If I am making an item, I want complete control over the design… That has been a driving force in my self-education in jewelry, because, yes, I am proudly self-taught. This necklace is one of my pride and joys. 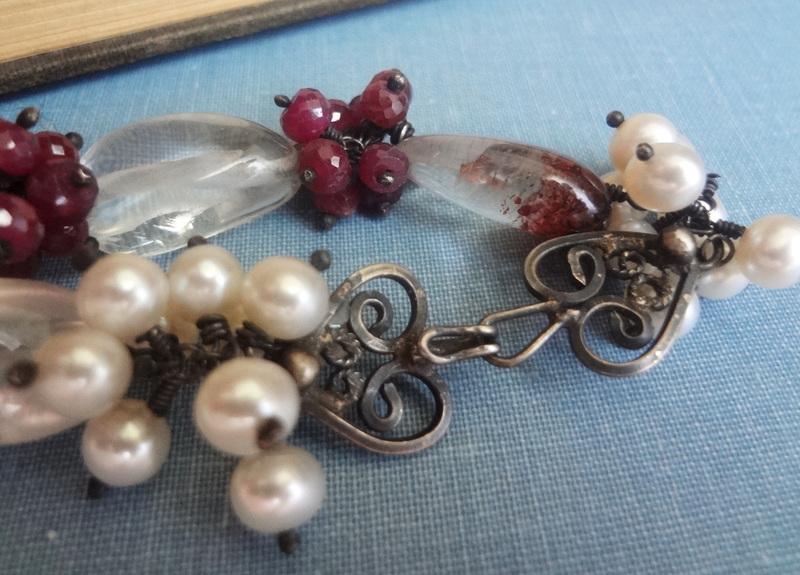 Not only did I get to use a boatload of rubies, but I also made a point to highlight the hand-fabricated clasp. Curious about it? You can find it here. 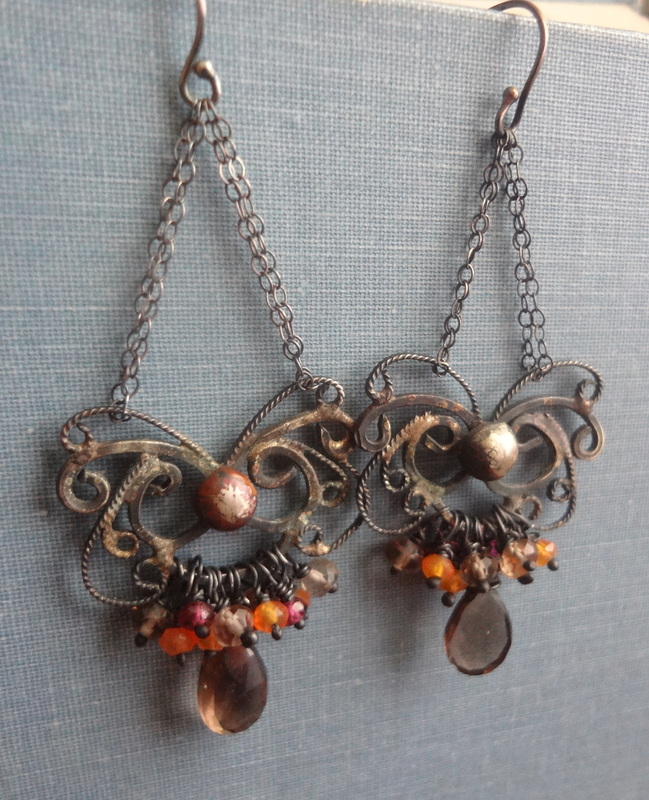 Sterling silver chandelier earrings including filigree, carnelian, rhodolite garnet, and smoky quartz. Another example of my filigree work available here. 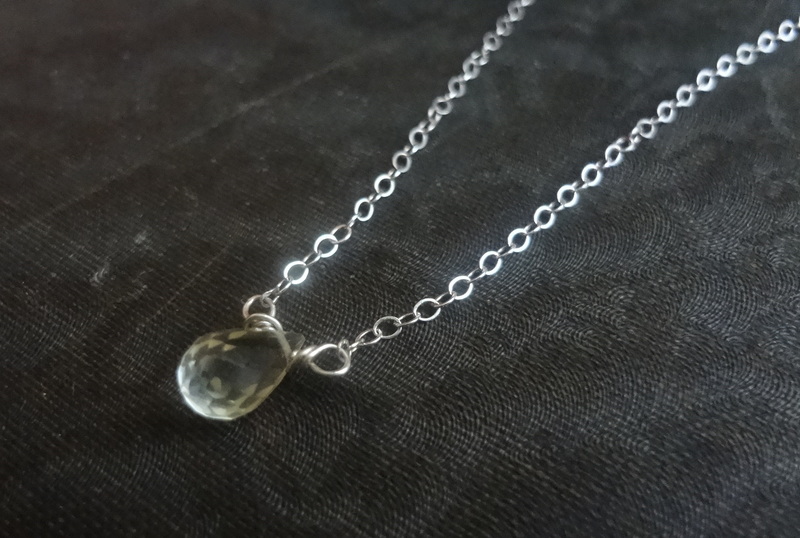 I also make sure that I make more easily affordable pieces and simpler daily wear items. And affordable options for the budget bride or other savvy spender looking for high-quality jewelry that won’t break the bank. 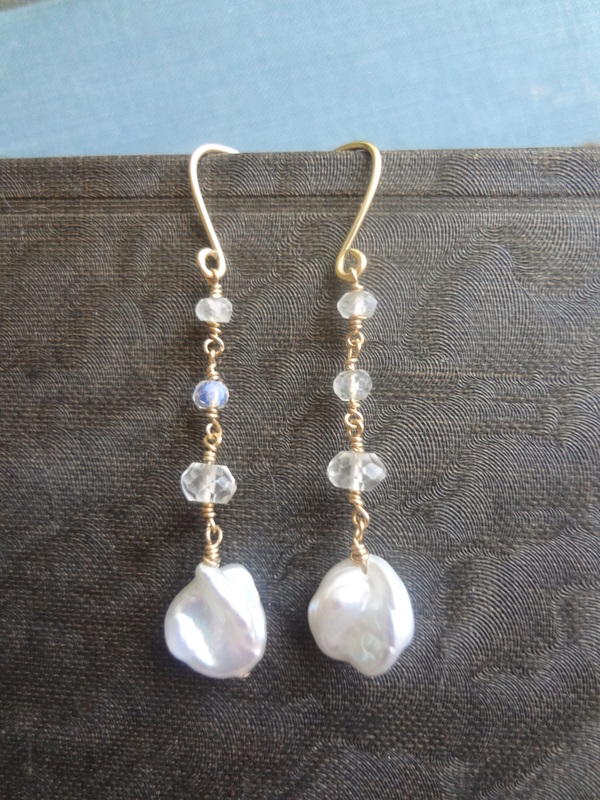 Gold-fill, pearl, morganite, and rainbow moonstone earrings. Over the next few days more and more will be going up. And soon I’ll have other types of art in my shop as well. I do barter for things I need, especially online classes and books that fall under my interest, but sometimes art or supplies as well. This is on a case-by-case basis, though, because sometimes I simply can’t afford to let go of a certain amount of materials used or am really needing to pay a bill (like my last dental bill… Yikes!). 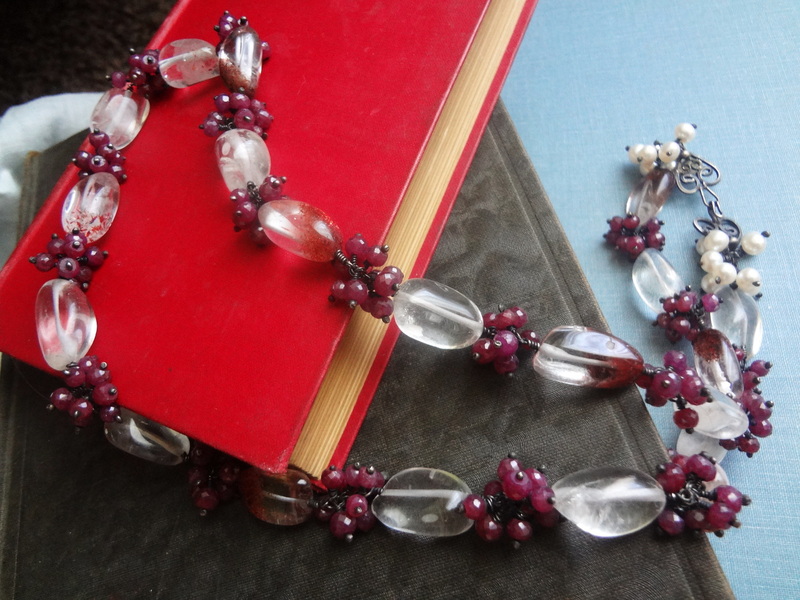 Bookmark my Etsy shop or follow me on Facebook to stay updated. Next > Newly Listed This Week & an Upcoming Agon Prize! Oh! How did that completely slip my mind? Thank you for pointing it out. 🙂 Thank you! What beautiful pieces! I also love Oaxacan folk art–yaay!